This Access Tiles Product ships from New York, typically in 1-3 business days. Cast-in Place Truncated Domes are only shipped via Ground Services. Expedited air shipping is not available. 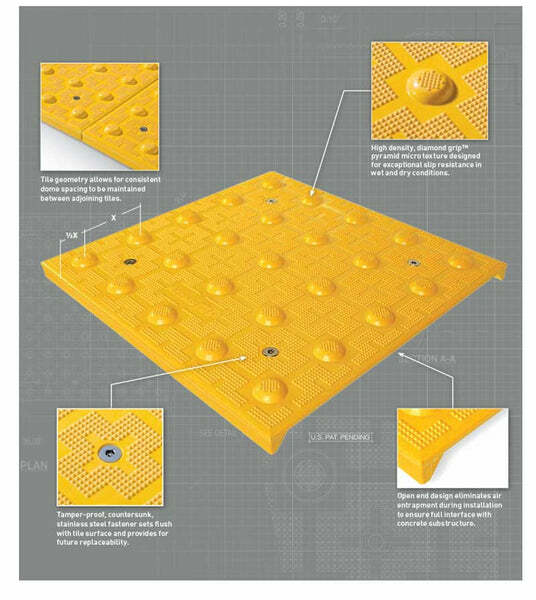 This 2' x 2' replaceable truncated domes tile developed by Access Tiles includes design innovations not found in early cast-in-place systems. 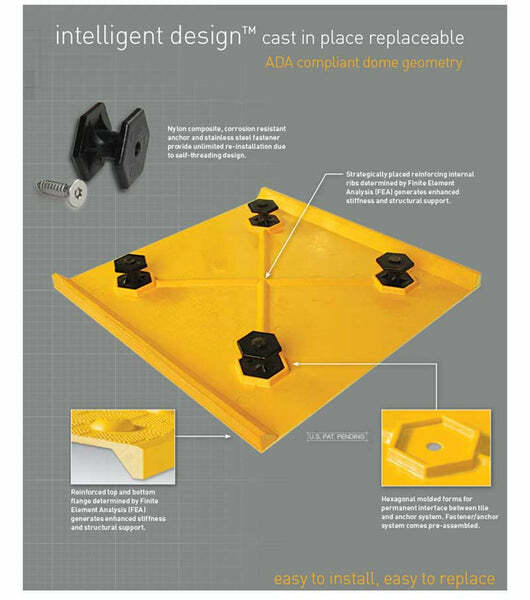 Including a new unique anchoring system allows for easy replacement of tiles. Twenty years of tactile design, testing and manufacturing insights have gone into this truncated dome detectable warning product. Installation is easy and fast with no concrete demolition required. The replaceability feature of the this paving tile is industry leading due to its simplicity and speed.